Our company is a 31-year-old plastics machinery company. Our main agricultural water-saving irrigation equipment, irrigation equipment (a variety of drip irrigation, drip irrigation, micro-spraying, pipe fittings, valve plastic pipe, plastic film, etc. 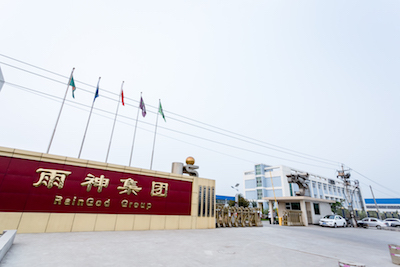 ), is a 31-year-established plastics and plastics enterprises, China’s water-saving irrigation Leading company in the equipment industry. More than 6,200 customers have been established since our company, and we have served more than 6,200 customers in more than 40 countries in China. We have advanced testing equipment and independent laboratories. We have advanced testing equipment and independent laboratories, and we have a professional quality control and inspection team. We have passed ISO9001 and CE certification. We have advanced experimental equipment and independent laboratories, with a professional inspection team, the company passed the ISO9001 quality system certification, & CE, in all directions to ensure the quality of your products. 24-hour online service We have an experienced professional after-sales service team. We can also provide 24-hour online services via email, fax and other online chat tools so that we can provide machine installation and usage services. We have experienced after-sales service team to provide you with 24-hour online service, through e-mail, fax and a variety of online chat tools to help you solve the installation, use and other issues, according to customer needs on-site service. Drip irrigation is an efficient, convenient way to water your garden. It supplies the water directly to the roots of your plants, reducing evaporation and water loss through wind flow. Connect it to a timer, and your garden will water itself automatically, with minimal upkeep.